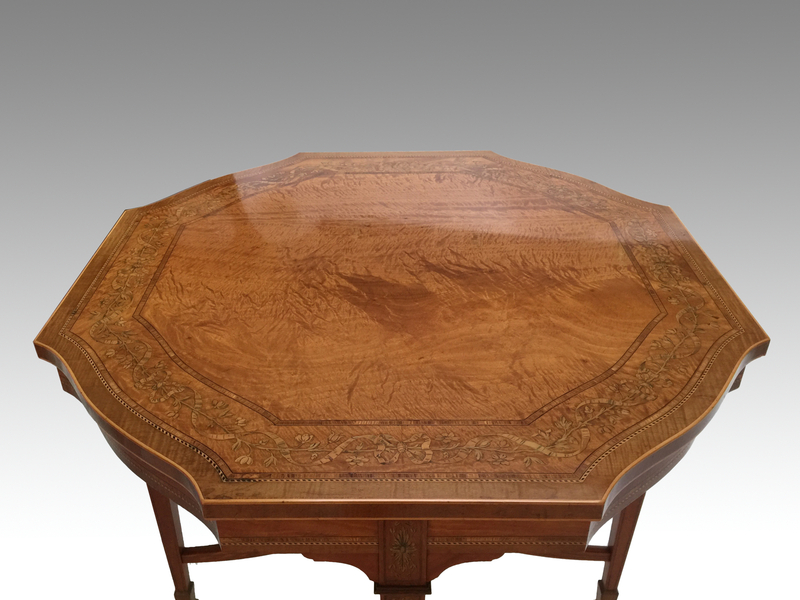 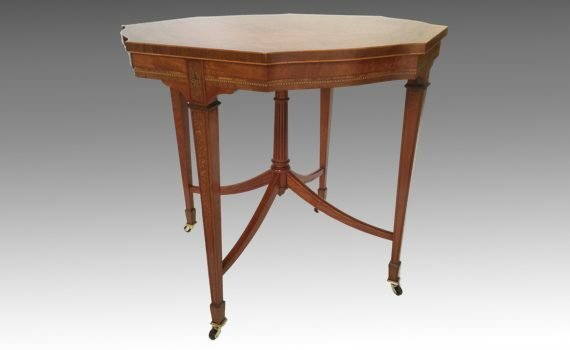 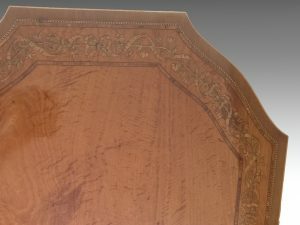 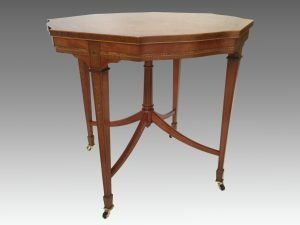 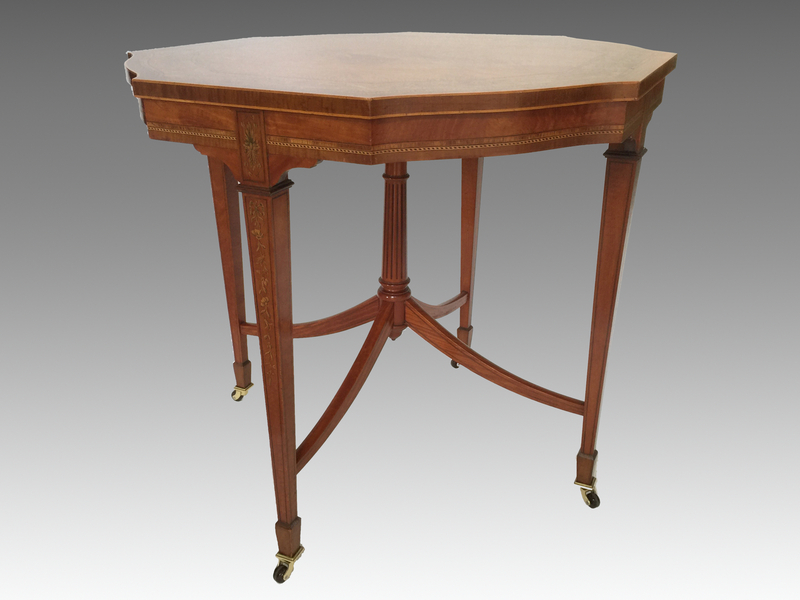 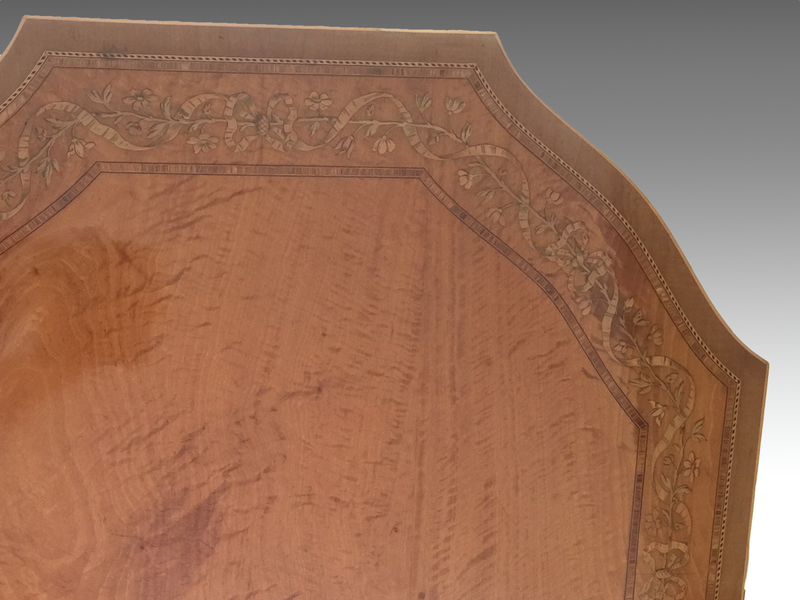 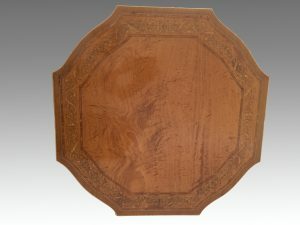 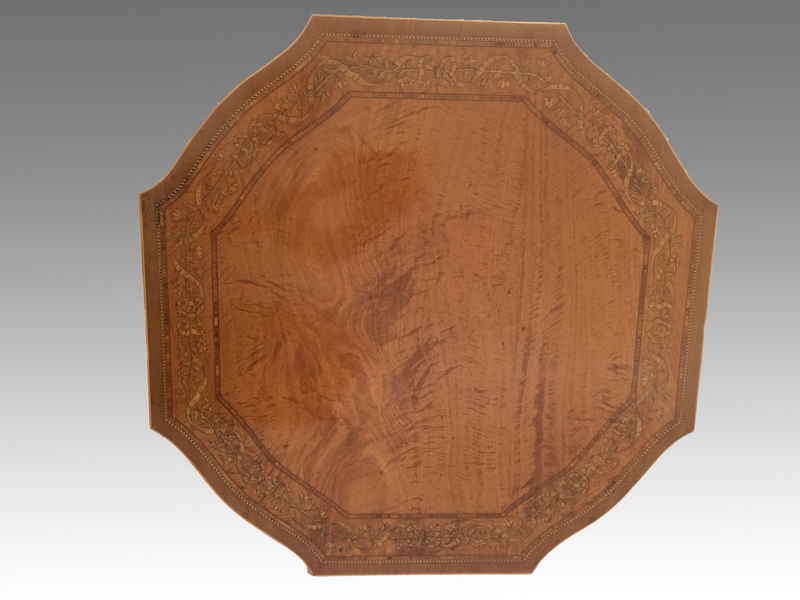 A late 19th century, Victorian, satinwood and marquetry inlaid table. 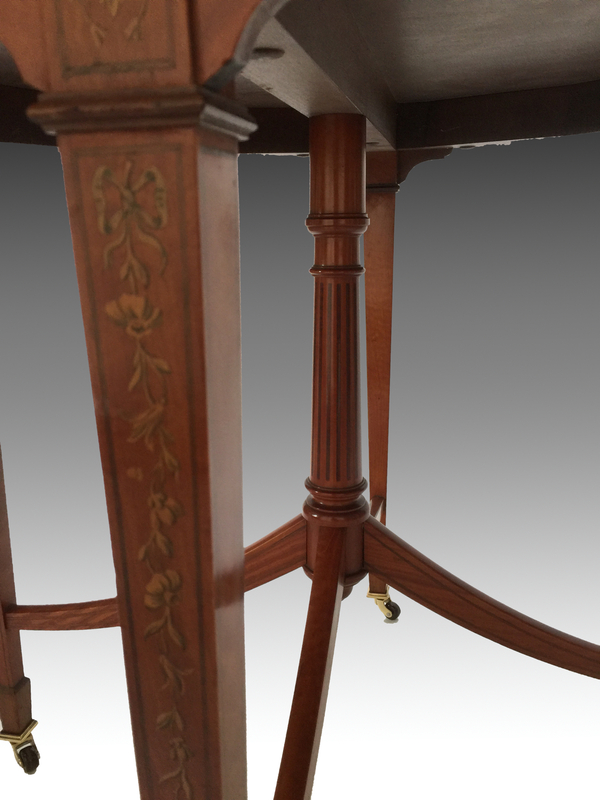 The octagonal top with alternate serpentine sides inlaid with a wide border of trailing ribbons & flowers with kingwood cross banding. The base with four square section tapering legs ending in replaced castors, united by a central turned column with splay stretcher.